Here and waited! I think it’s just a holiday for lovers of anime. 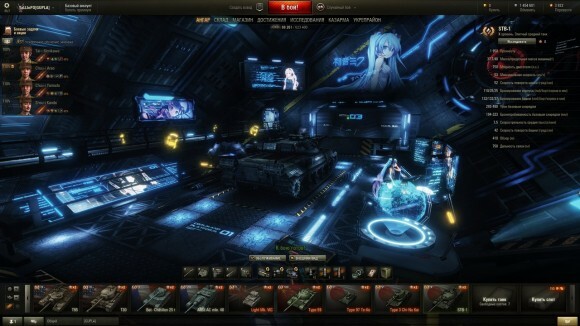 Because of this quality and style of anime hangar was not yet in the history of World of Tanks. 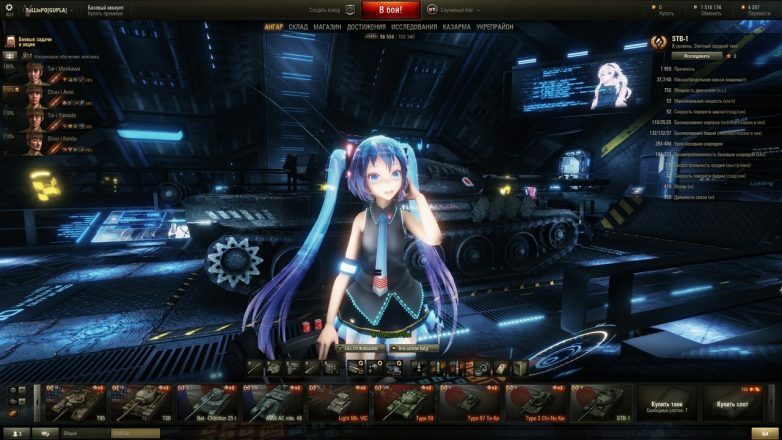 For over two months, “Miku” develops its new anime hangar. He called the it – the hangar by Miku v. 2.9. Miku Hangar – a project designed specifically for the contest WGDC in the category “Best modification of the game client.” Hangar is a full three-dimensional scene, within which various methods of visualization environment. Work is executed in two basic subjects: sci-fi & anime, in particular, to a greater degree hangar dedicated electronic singer Hatsune Miku. Characters in the hangar: Hatsune Miku and Luka Megurine (vocaloid). After the update 0.9.9 it stopped working, but thanks to our team has been adapted and you can enjoy its beauty and in this update. I copy the 2 folders in the game folder 0.9.4 but it dosen’t work, what can i do? Not working in 9.4…. it looks really good but not working. Qu’est que tu fais sur l’internet d’abbord, toi? OMG thanks so much for that tip! +110! I was pretty sure the fury hanger was canceling it out, but had no idea how to prevent that, and you answered my question. Now it works just fine, and its sooooo AWESOME!!!!! Max graphics is a must have for this one. hola como pongo el mod esque no me funciona!!! 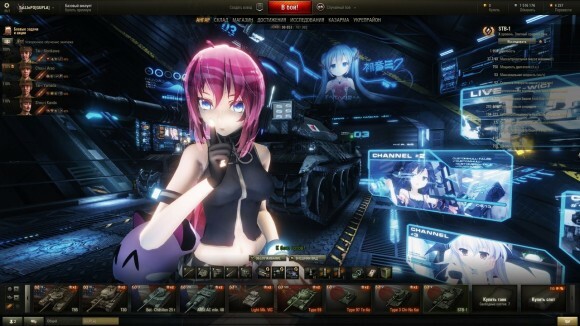 Is that an actual scene from an anime playing on one of the screens, and if so what is it, looks cool and I’d like to watch it. if it doesnt work check if you have other garage mods installed. it works with circons modpack tho. I have the 9.6 for wot and the garage didn’t work, i have to wait or i can do something ? Yes me too, i have the 0.9.6 version of this hangar and 0.9.6 for wot and it didn’t work. What can i do ? could it be possible to have the complete file please ? how bout in 9.6 chinese new year? ?how do i install it?? Sorry, first to install one. bonjour, pouvez vous faire le même hangard pour la 0.9.7 ? Update for WoT 0.9.9 please…. I really love this mod. I really like this hangar. 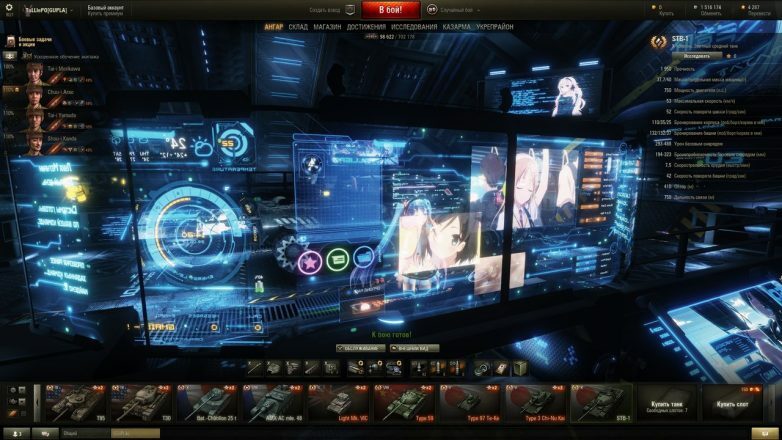 I want this for WoT patch 9.9. Sadly i see it has been disabled. Please keep everyone updated if your going to update it for 9.9.
o/ felow tankers, after reading your coments i decide to respon, so it is working for me in 9.9 perfect…..
sam ng the spaces file is in World of Tanks\res_mods.9.9, of cors if you alredy instaled the file. I am running v. 9.10 and the mod works. However, everything is pitch-black. 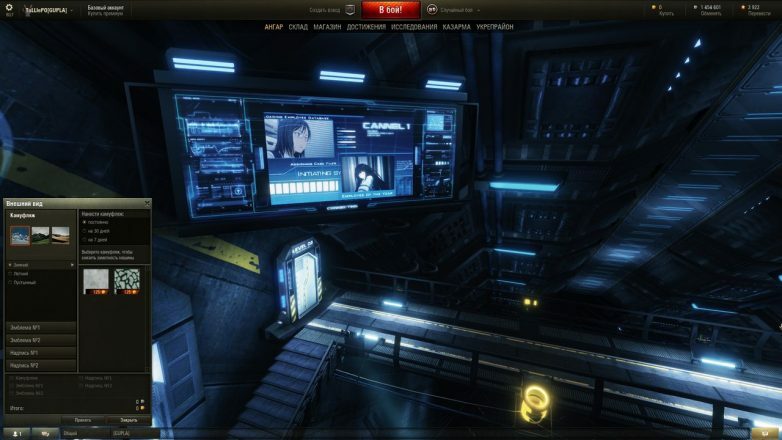 How can I increase the brightness of the hangar? The only thing I can see is a few elements. how do you install in 9.10? shaders folder is missing ..
Dosnt Work for me. Just Black and White no Color and shaders. 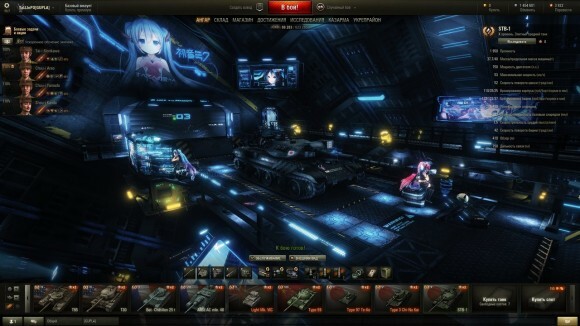 Is this New anime hangar from Miku (v. 2.9) for WOT 0.9.12 update coming ? Let me know. I love this 😀 dude! Don’t think it works for 0.9.12…. But I don’t know if I am doing it right. I put all the files in and the garage looked messed up. Not completely black but it was weird……. If someone know how to update it in 9.17, please do it ! For the community, please do it !